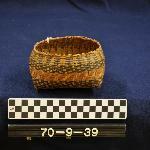 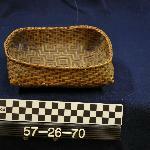 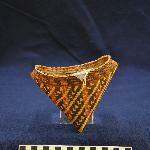 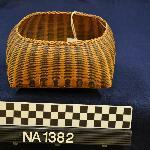 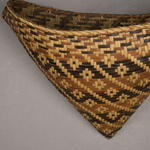 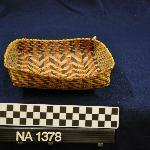 Woven splint basket with circular rim and square base. 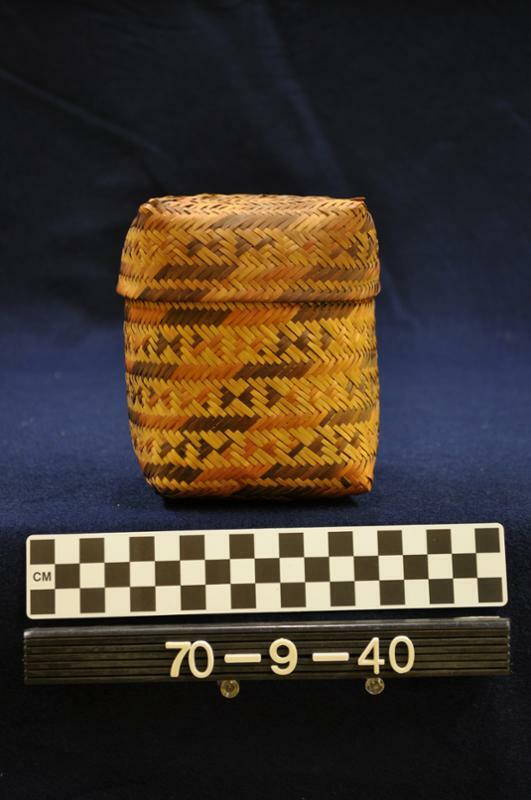 Top of the cover is square. 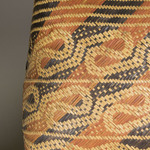 Geometric designs formed by splints dyed red, orange, brown, and black, as well as by natural yellow of splints.